"Looks about right, people running around with knifes and bazookas." Later this month a private beta *salutes* "Private Beta." 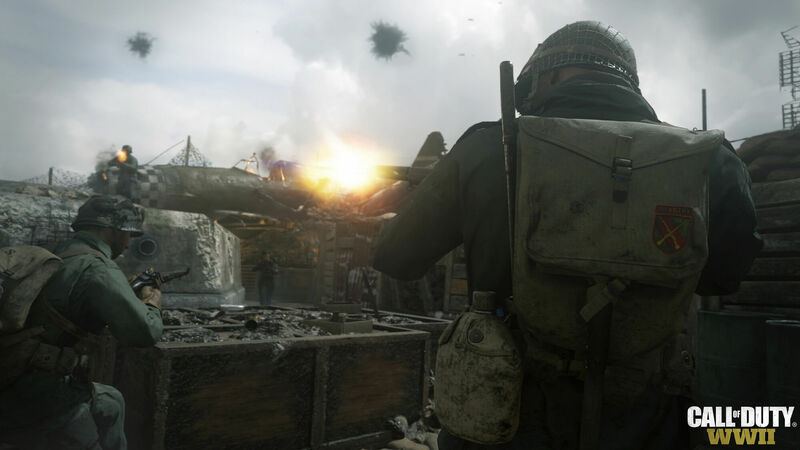 will release for Cod: WWII. Giving players a first look at new maps and the five class system that has been implemented for this game. In order to get into the beta you must have pre-ordered the game. Now we know the beta begins on August 25th for the PS4 users. However we have yet to get a date for the Xbox one players. We also have no idea how long the beta will run but will definitely be at least three days. Looks like it's throwback Thursday for the Call of Duty series coming November 3rd for Xbox One.